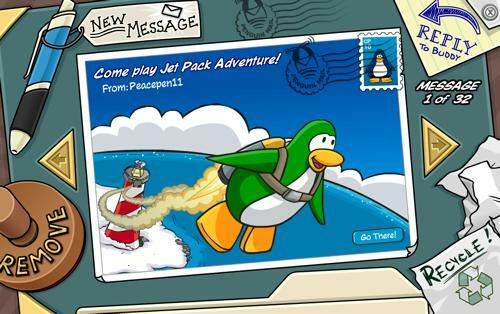 Postcards have been in Club Penguin quite a while. The current mailing system, Penguin Mail, findd the old postcards in July 2008. To send a postcard to someone, open their playercard and click the envelope icon. It will bring up a postcard catalog, seven pages long, filled with postcards. Here and there new postcards are added, and some are removed. Once you find the postcard you want, click it. It will ask if you want to send it. Sending a postcard costs 10 coins each. 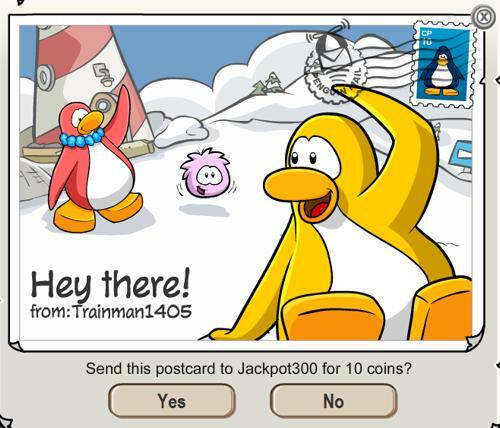 To open your penguin mailbox, in the top left corner of your screen is the mail icon. If you got a postcard, there will be a badge over it with the number of unread mails you have. Click the “New Message” one to scroll through your buddies and send them a postcard. Click “remove” to remove all postcards from the penguin that sent the one your currently have up. 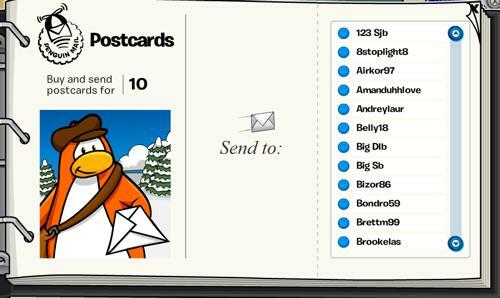 Click “reply to buddy” if they are your buddy on Club Penguin, and you can send them a postcard. Click “recycle” to delete the current postcard. 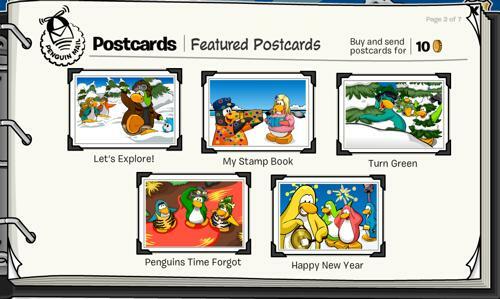 You can have a maximum of about 50 postcards in your penguin mailbox. After that, you need to delete some in order to receive more.